This week's Photo Of The Week is an extremely interesting photograph that is a true orphan. There is no information written on the photograph or contained in the photograph that can lead us to the identity of the woman whose portrait was taken. There is information with regard to the photographer and several unique finds in the photograph itself. 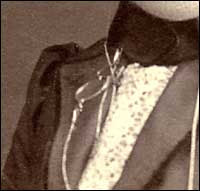 One of the most interesting things contained in the photograph are the "pince nez" (pince on the nose) glasses on a chain attached to the woman's lapel. Photographs of women wearing glasses, while not rare, are certainly unique. Photographers usually requested that women remove their glasses to have their photograph taken, feeling women were far more attractive without their glasses. Removing the glasses also removed the glare that often occurred from the glasses. Rare are those photographs that picture a woman holding her glasses or that have her glasses attached to her clothing. This is one of those rare photographs. The other interesting aspect of this photograph is the painted backdrop. Studio photographs frequently involved posing the subject in front of a painted backdrop. Hodson, as discussed below, was a portrait painter and probably painted the backdrop himself. What makes this photograph unique is that the right edge of the backdrop is evident in the photograph and a glimpse behind the scenes is also recorded. A feather duster, a window and the edge of another backdrop can be seen. Rarely, would a photograph that was not perfectly aligned be mounted and leave the studio. I have another photograph of this woman taken by the same photographer that is perfectly aligned. You have to wonder how this one got away. (1) The card mount measures 7 3/8 in. X 10 1/2 in. and is 1.50mm thick. The photograph measures approximately 5 5/8 in. by 8 in. The edges of the card are beveled, the corners are rounded. The card stock is textured, the original color appears to be a green (matte finish) front and back and a creme colored bevel. (2) The photographer’s imprint on the front (recto) of the photograph lists the photographer as Hodson Photographer, 416 Geary St., San Francisco, Cal. (3) The back of the mount is blank. This size card mount was called an Imperial and was introduced in the United States in 1890 and used for many years after that date. The card is consistent with mounts of the early to 1900s in both size, thickness, texture, bevel, and color. Hodson Photographer was John R. Hodson, known as a portrait painter and photographer. He was born in Illinois on May 22, 1850 moving to California in 1875 and settling in Sacramento. By the early 1880s he was an established artist there and had a photographic studio at 521 J. Street, Sacramento, CA. In 1880, he was living on Pacific Avenue in Santa Cruz with his wife Angela Mason Hodson and their three daughters. From 1898 until his demise on June 18, 1914, he operated a photography gallery in San Francisco at 416 Geary Street and as of the 1910 census lived at 1708 Webster Street in a boarding house. His wife was not living with him as of the 1910 census and he could not be found in the Heritage Quest Census results for 1900. Hodson exhibited watercolors, ink portraits and photographs at the California State Fair from 1879-96. 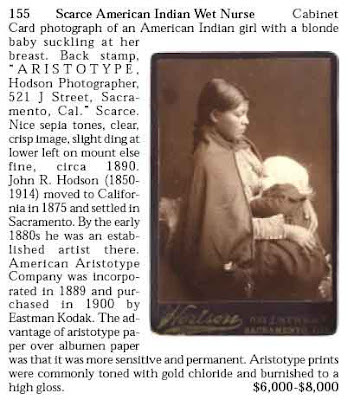 In researching Hodson, I found the following auction item for one of his early Sacramento photographs. Conclusion: We have determined that Hodson operated his photography business at 416 Geary St. (the address on the card mount) from 1898 until his death in 1914. Therefore, the photograph could have been taken during that sixteen year period. The woman, who is the focal point of the photograph, has a hairstyle that is consistent with the time period 1901 and after. The pince nez glasses are consistent with the time period of 1900 and after. Her tailored corseted dress with straight sleeves can be dated to the time period 1903-1904. Conclusion: The hair, clothing, and eyeglasses are consistent with the time period 1901 - 1904. 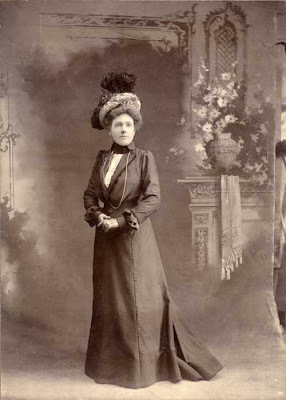 Clothing is one of the least reliable methods of dating a photograph, as women in small towns and rural areas often did not change their styles as quickly as their counterparts in large cities. This was San Francisco, a large city, and this is a fairly young woman, so we would expect her to be current with the style. We cannot, however, be certain. 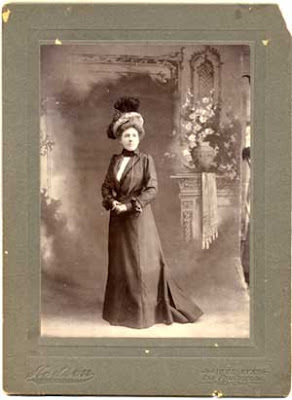 The photograph in relation to the mount, photographer, hair, clothing, and eyeglasses is consistent with the period of 1901 - 1904. Tomorrow in Twice Told Tuesday I will share an article on Fashion Dos and Don'ts for those being photographed. Davidson, D.C. and R.J.S. MacGregor. Spectacles, Lorgnettes and Monicles. Buckinghamshire, UK: Shire Publications, 2002. Doyle, Marian I. An Illustrated History of Hairstyles 1830-1930. Atglen, Pennsylvania: Schiffer Publishing, 2003. Gernsheim, Alison. Victorian and Edwardian Fashion A Photographic Survey. New York: Dover, 1981. Occhiali, Gli. Eyeware. San Francisco: Chronicle Books, 1997. Palmquist, Peter. Pioneer Photographers Of The Far West A Biographical Dictionary, 1840-1865. Stanford, California: Stanford University Press, 2000. Setnik, Linda. Victorian Costume For Ladies 1860-1900. Atglen, Pennsylvania: Schiffer Publishing, 2000. The Delineator. New York: Butterick Publishing, March 1889. The Delineator. New York: Butterick Publishing, February 1903. The Delineator. New York: Butterick Publishing, September 1904. The Delineator. New York: Butterick Publishing, October 1904. 1880 U.S. census, Santa Cruz County, California, population schedule, Santa Cruz, p. 426, dwelling 143, family 181, John R. Hodson (Head); digital images. Heritage Quest (http://persi.heritagequestonline.com/ : retrieved 1 April 2008); citing NARA microfilm publication T9, roll 82. 1910 U.S. census, San Francisco County, California, population schedule, San Francisco, p. 99, dwelling 36 , family 92, John R. Hodson (Head); digital images. Heritage Quest (http://persi.heritagequestonline.com/ : retrieved 1 April 2008); citing NARA microfilm publication T624, roll 101. Glad you liked my great great aunt in her glasses - her sister Lizzie liked posing in hers too, but I wanted to save her photos, they are rather amusing ones. Hodson was a member of our family and I often research to see what's on the internet about him. Loved your article found it very interesting. Hodson however had 2 daughters and a son. That census is incorrect. His son worked with him and made a name for himself as well. 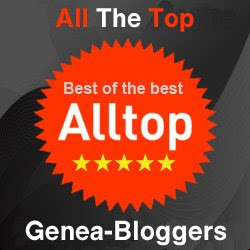 I'm so glad as to have come across your site. Can you tell me who auctioned the Nursing photo? I would like to know where I can contact any of the relatives of J.R. Hodges. I have some old items I think they would want.....old original store advertisements for the J.R. Hodges Photographer Studios. I am interested in J.R. Hodson not Hodges. Where was he located? Anyone on here know where I can sell some of his work? I found a Hodson photograph in my family photos and it is of two children. I wanted to find the story of the studio to try and put a time frame on the picture and it was amazing to come here and see the other photos. Amazing!